The garden was specifically excluded from the 1830 town boundary extension and consequently was not included within the borough until 1854. Although shown as Parcel 266 on the 1842 Tithe Map, it is not included in the 1846 Tithe Apportionment. In April 1876 the Corporation's Improvement Committee considered that Pitney gardens might be advantageously bought (it was noted that the gardens could only be sold to a public body) as the site of a proposed swimming baths for the town that was under discussion, although nothing came of this. By the time of the 1886 Ordnance Survey the eastern flank of the garden was the carriage factory belonging to Hill & Boll, but the garden itself was clearly laid out as an ornamental garden planted with trees and bisected by paths at this time. Whether or not the public had access is not known, but the double line along its eastern and southern boundaries on the 1886 map does indicate that it was walled-in with an entrance gate in the south. It is difficult to tell in the photograph below, but if it is a surviving section of the garden wall beyond the showrooms (mentioned below), the wall would appear to have been about eight feet tall. Hill & Boll must have bought the garden, if they didn't already own it, since by the early twentieth century they had built a showroom for their carriages on the land, abutting Princes Street and shown in the first photograph below. Hill & Boll's showroom was demolished in the 1930s and the present parade of shops was constructed as shown in the second photograph below. 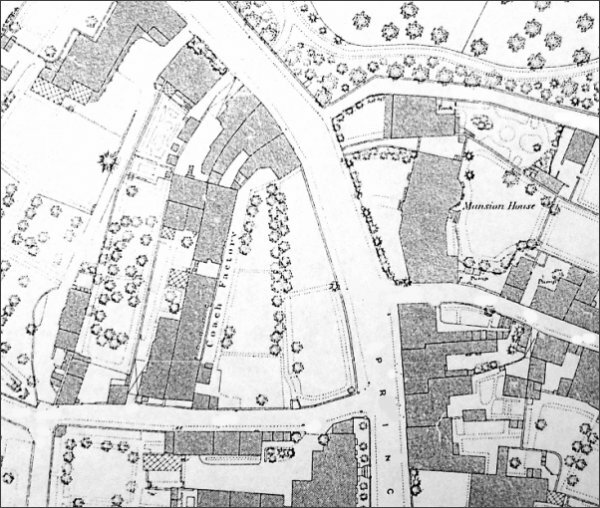 Watts' map of 1806 shows Pitney Garden, at centre, on the corner of today's Princes Street (then known as Cattle Market) and Park Road. 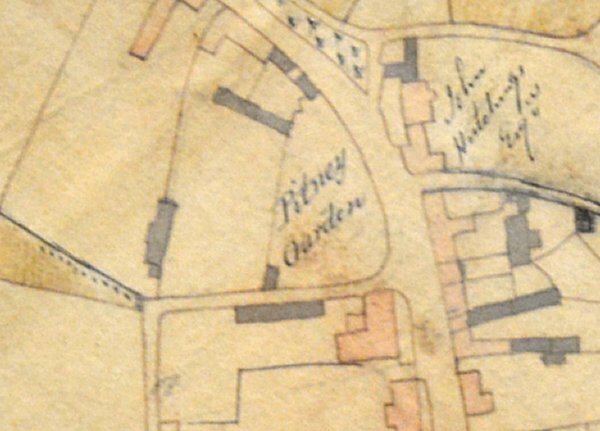 The 1886 Ordnance Survey shows that Pitney Garden survived even at this time, with Hill & Boll's coach factory on its eastern boundary. This photograph was taken from Bide's Gardens in the 1920s and shows the northern end of Princes Street / southern end of Kingston. In 1831 Pitney Garden took up the whole area at right as far as Park Road (indicated on this image by the flank of three-storey Old Sarum House visible just right of centre). 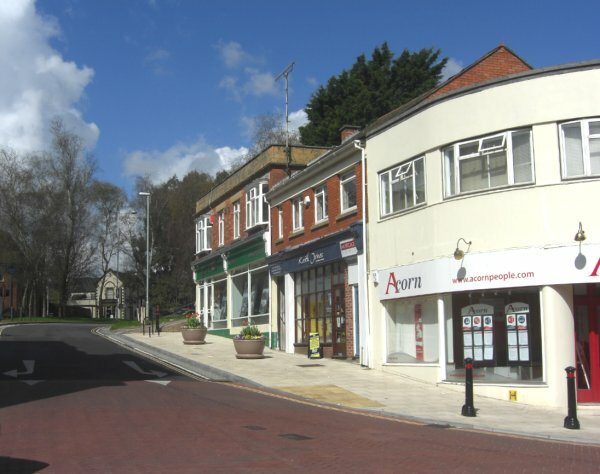 The building at right is the shop-front of the sales rooms of Hill & Boll's carriage works, built on the site of the earlier Pitney Garden. 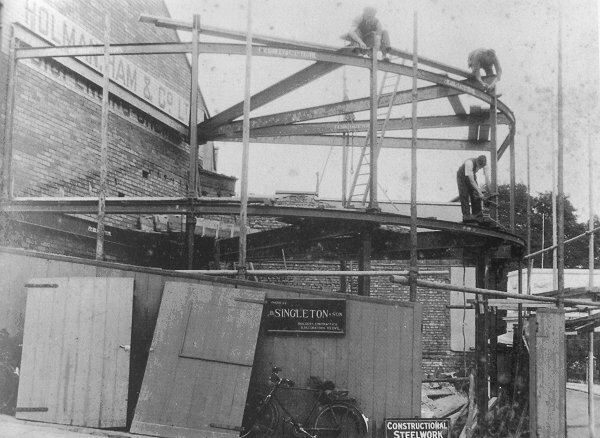 This photograph shows the steelwork being erected on the corner of Park Road and Princes Street for the present parade of shops, photographed below. The steelwork was erected by FW Sibley & Co, while the main contractor for the project was D Singleton & Son of Yeovil. The north side of Park Road photographed in 2014. Pitney Garden would have occupied the whole of this corner and extended beyond the lamp-post, with a gateway in the wall roughly where the left-hand planter stands.